Can’t you get the conversion and sales you want on your website for a variety of reasons? Then you should start measuring the difference by using conversion optimization. Conversion rate optimization is a topic that covers a wide range of areas: design, compatibility, reliability, and even a process that involves the psychology of your target audience. In this content, I will introduce popup services to increase your conversions. This is the method that provides the solution with minimal effort and cost to improve the conversion. If you have decided to start or try the conversion optimization with popups, you should now select the correct popup service. I’ll try to help you with that. Why Popup To Increase Conversion? With a small piece of code that can be embedded on your site, you can turn on popups in 30 seconds to provide conversion. You can easily create popups for your target by selecting your design in the panel on the popup services. This advanced tool allows you to show the message to the right audience in a short time. You are the one to choose the right content and method. The existence of popups almost depends on the existence of the Internet. 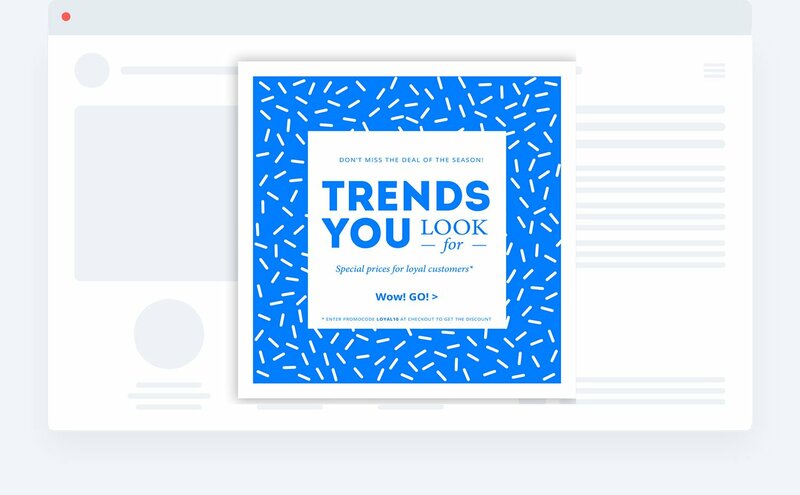 At first, popups played a major role in communicating with your visitor in the digital world, though they were generally perceived by advertisements and closed screens. However, the popup service that I’m going to show you is the new generation design with its functions. Unquestionably, popup is an effective method for user interaction. With accurate popup design and accurate visitor targeting, you can create conversion-oriented strategies. We therefore evaluated Popup services based on their design, targeting, integration, analysis and pricing. Now let’s start with the design, which is one of the important elements of designing. I told you about the bad reputation of Popups. In the past, especially ads were shown as popups because the most effective conversions were provided in this way. 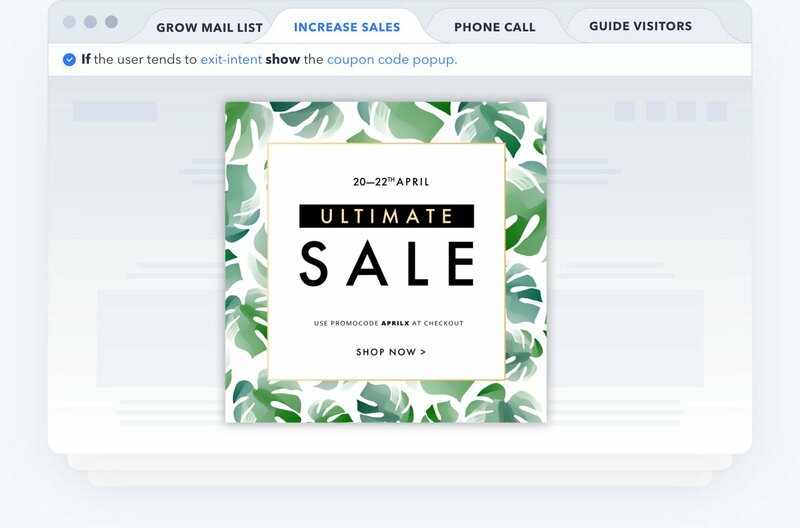 Popup designs are one of the most important elements triggering conversion. The right design with the right content will increase the conversion rate. Although most popup services offer design themes, they offer designs that are very common look. That’s why you need to design and create the right content. However, popupsmart and sleeknote from the services I’ve been examining offer real popup designs to customers. Each of the designs offered has separate conversion goals. So you can easily change the content by arranging your design and you can immediately import the popup. Below you can see the sample designs, therefore, you can understand the difference. Below there is a popup selection screen of the Optinmonster service. As you can see, the popups are not just the design but the template. Therefore, you should consider the design or the photo that you will place in the popup. Popup service is one of the high-rated ones. Considering that other services have standart templates and designs PopupSmart and Sleeknote are better with their design and services. To determine the right content with the right design, you must first select your target audience. One of the important features of Popup services is that they have advanced targeting options. A few of these are: “a specific URL address targeting”, “location targeting”, “scroll triggers”, “new or returning visitor targeting”. Imagine that you set up different conversion strategies by dividing all visitors to the website as you wish. In this way, you can provide different popup communication according to different target groups or user movements and increase your conversions with more specific methods. I’m presenting popup services below to check out the prominent targeting options. If you’re dealing with digital marketing, you know, marketing automation is essential. If you are communicating through a popup service and collecting data, you should process this data instantly and get the relevant action. If you are a real estate agent and want to collect data from specific houses you can use a request form with popups service. After that, you must process this data into various integrations of this service. If you want to send an e-mail or SMS automatically you can take advantage of unlimited integration options through Zapier without any extra integration. Zapier is a service that gives you flexibility so it’s very important. Zapier integration is provided by Popupsmart, Sleeknote, Wisepops, Sumo and Picreel. Analysis plays an important role in the optimization of conversion rate in terms of advanced targeting options, design, and content. You better go to the steps you can learn by analyzing. The action-driven analysis allows you to achieve better conversion rates. You can make a difference with many details in the digital world, where even the color of the button can affect the conversion rate by 20%. Popup services offer different analytics features. While some of them develop their own analytics dashboard, some of them directly send data to Google Analytics and allow you to make a detailed analysis. Services that provide Google event analytics integration like Sleeknote and Popupsmart, allow you to measure the movements of popup conversions on your website. You can also use Google Analytics to get to know your target audience in more detail. Another effective way to get accurate results is A / B tests. A / B test is helpful to make popup design or content more effective. Likewise, what type of popup will be shown in our previous experience is also an important metric. Generally, popups that shown in the middle of the page have fewer conversions, while popups that appear in the sidebar have better conversions. The only way to measure this is to make correct analysis and inferences. If you are doing conversion optimization, the experience is very important. Even if you set up a specific strategy with the right tools, it takes time to bring success to a point. At this point, the support provided by conversion optimization services becomes much more important. The expert team of service providers can increase your conversion rate by saving you a serious time at the right strategy point. When we examine the popup services in terms of support, unfortunately, we feel disappointed. Services that can provide support mostly by email and telephone only answer the issues related to the use of the application. Popupsmart offers dedicated conversion manager with dedicated success manager. In this way, the experienced team in conversion optimization provides 2 hours of consultancy for your project every month. In order to increase the conversion rate, we examined the features that stand out for you. Now we will share our experience in brand specificity for conversion optimization services. Popupsmart is a conversion rate optimization tool that started its operations in 2016. You can create strategies to increase your conversions with smart popups that you can create and customize. Popupsmart’s three prominent features are designs, pricing policy, and support policy. Popupsmart offers you exclusive popup designs that you won’t find at other services. All you have to do is access the popup archive optimized for maximum conversion, which you can use easily by changing the content based on your campaign. Another important feature is the support mechanism. Every customer is advised by experts to increase your 2-hour conversion optimization on a monthly basis. This team called Dedicated Success Managers, they can add a lot of value to your experience. Finally, the pricing policy applies very different methods compared to other services. While other services are building a page-based price, Popupsmart only pricing based on the number of impressions when popups are shown. As I mentioned, they offer2-hour conversion optimization consultancy for pro and expert plan users. Therefore, there may be delays in this process. After 10 days they can arrange a day for counseling. However, email and phone support are answered generally within a day. I think the intensity on this side is customers. Optinmonster is a lead generation service operating since 2013. As it is a 5-year company, it offers solutions for professionals with many other features. Optinmonster is the most advanced service in terms of targeting and popup display capabilities. In addition, the editor allows you to make your dream design with drag and drop. Optinmonster is not a service that available to a random user. I recommend agencies or people with advanced abilities in design to use OptinMonster. You need advanced designing skills to create your campaigns that will provide conversion. The pricing page does not show up for 2 months prior to the page view pricing. When users made more page views, they want to cancel your popup display and switch to the next package. This situation must have received a serious reaction against the number of page views in the plan. But the price is above average, as you will see in terms of performance in my assessment. Sleeknote is a prominent service in terms of design. As you can see from the slogan “say goodbye to ugly popups, say hello to Sleeknote” they refer the new generation popups of Sleeknote. Sleeknote, as I mentioned, stands out with its popup designs. You can start to increase your conversion rate instantly with your designs by using the design archive. Another important feature is that it is completely tailored to a random user. It’s user-friendly. You can easily navigate to the destination of the system by selecting the destination you want to perform. Although Sleeknote creates beautiful solutions in terms of performance, its prices are higher than its competitors. This may be a reason to discourage similar services being provided by other services. Finally, I provided some comparative information about popup services to increase your conversions. Don’t forget that with a little effort you can make huge profits in terms of your conversions! Hope you find it useful, if you have something to ask for, don’t hesitate to reach me!